"Good stuff" is coming to the PlayStation Plus' PS4 Instant Game Collection later this year according to a "Sony guy high up in the food chain." Disappointed by the PlayStation 4's PlayStation Plus offerings so far? If so, members will be happy to know that the service will allegedly offer "AAA" games as part of its Instant Game Collection to PS4 owners later this year. This was outed by reliable industry source Ahsan Rasheed, or more commonly known as "thuway" on Twitter and on NeoGAF. Rasheed tweets, "Just expressed my frustration to a Sony guy high up in the food chain with the current state of PS4. Lack of games, transparency, + features." In a follow-up tweet, Rasheed claims, "I'm told "Good stuff is coming, be patient this is the typical Sony cycle." I've also been told later this year PS Plus on PS4 will have AAA." While it might be an obvious deduction that full-fledged retail games will make its way onto the PS4's Instant Game Collection, it's still nice to hear some sort of "validation" of some sort. Of course, given that this didn't come from an actual Sony rep, do treat it with a grain of salt. 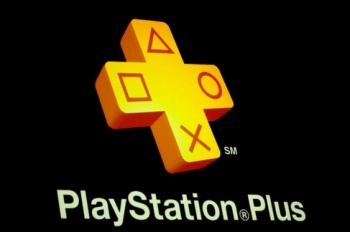 Sony's PlayStation Plus service has been a success on the PS4 so far, with Sony revealing it has tripled its subscriber base since the console's launch. Given that the premium service is needed to play online multiplayer for most of the PS4's games, that hike should be expected. Are you disappointed with Sony's monthly game for the PS4's PS+ Instant Game Collection? Personally, I'm fine with the past few months' freebies with February giving us the horror game Outlast, while this month has the service giving us a better version of PS3 shoot-'em-up, Dead Nation, which are both solid games in my opinion.